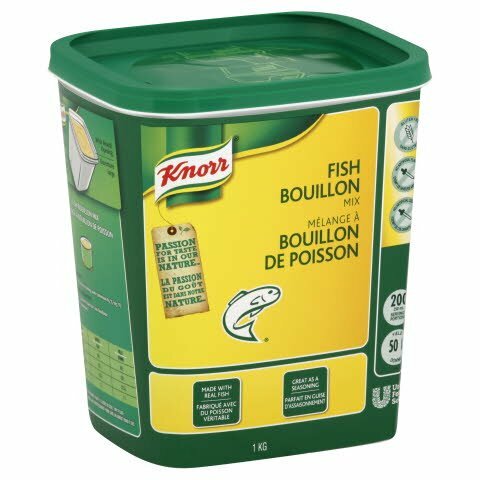 In a granulated form, the Knorr Fish Bouillon is easy and convenient to use. Simply dissolve in boiling water. 1. Dissolve concentrate in boiling water (minimum 85 °C/185° F). Delivers the ideal bouquet when poaching fish. Ideal for enhancing any seafood dishes.